The CoffeeShop Blog: CoffeeShop "Soft Lilac Matte B&W" Photoshop/PSE Action! CoffeeShop "Soft Lilac Matte B&W" Photoshop/PSE Action! 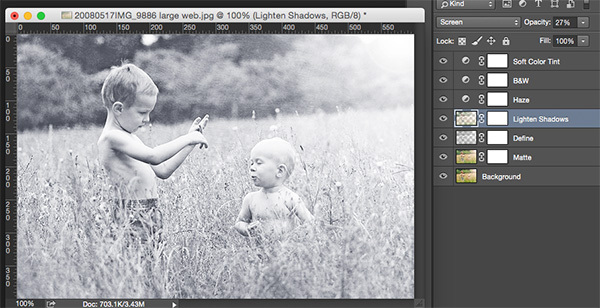 Today I have a new Photoshop/PSE action called "Soft Lilac Matte B&W". 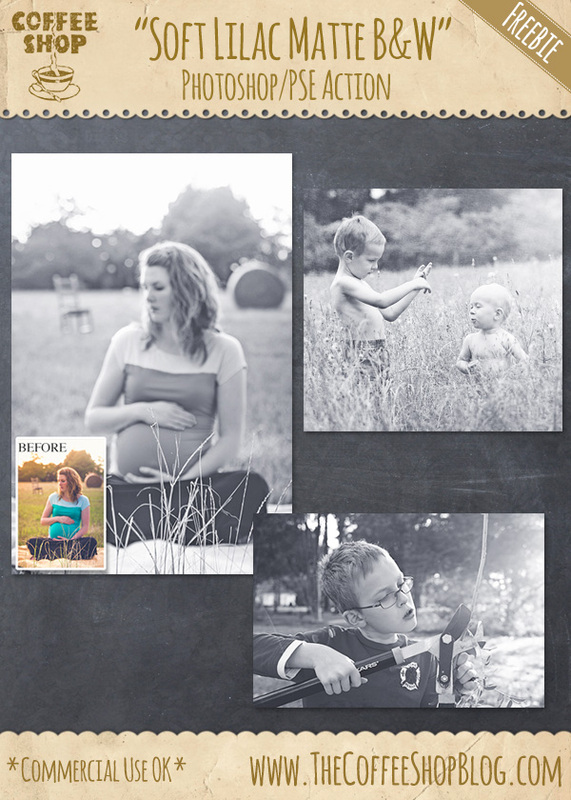 This is a really pretty matte tinted-B&W action that is fully adjustable and looks beautiful on portraits, landscape, or even still life images. I ran it on one of my favorite images of the boys when they were little. I miss taking photos of little kids! As you can see the action has a Matte, Define, Lighten Shadows, Haze, B&W, and Soft Color Tint layer. The Lighten Shadows and Haze layers are turned off by the action, so click to turn them on if you want your image to have more soft light. You can also adjust all of the layer opacity's and/or paint on the layer masks to customize the edit. I hope you have fun playing with this new action!!! Download the CoffeeShop "Soft Lilac Matte B&W" Photoshop/PSE action. You can also download it here. Pretty effect. Thanks for another great free action.